So far Graham has created 19 blog entries. 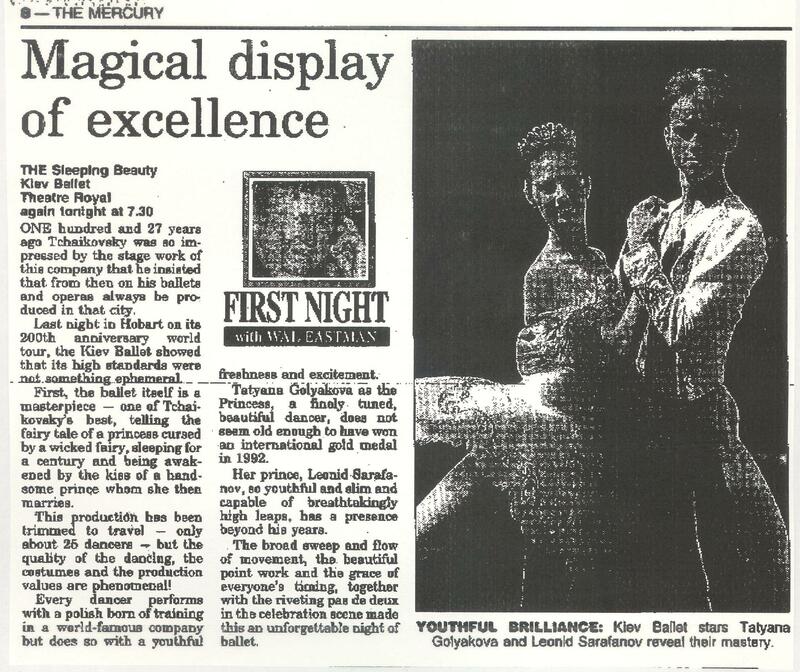 Two young dancers are being compared with the greats. The broad sweep and flow of movement, the beautiful point work and the grace of everyone's turning, together with the riverting pas de deux in the celebration scene made this an unforgettable night of ballet! The classic ballet The Sleeping Beauty is set to awaken ballet lovers throughout Australia, including on the Gold Coast. The dancing, costumes, sets and, of course, music are divine! 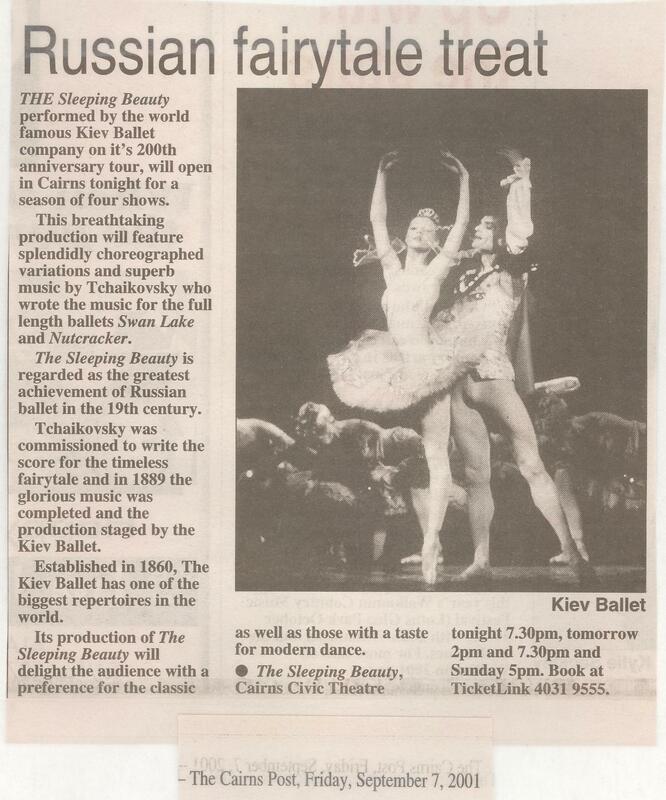 Lovers of ballet are expected to be flocking to see the Kiev Ballet 's production of The Sleeping Beauty when it comes to the Gold Coast Arts Centre. The Kiev Ballet , which has played to more than 40,000 million people, has been around for more than 200 years and played in countries including America, Denmark, Poland, Hungary, Austria, Britain, India. Tchaikovsky's The Sleeping Beauty is coming to life at the Gold Coast Arts Centre as the Russian dance spectacular kicks of its whirlwind tour on the Coast. 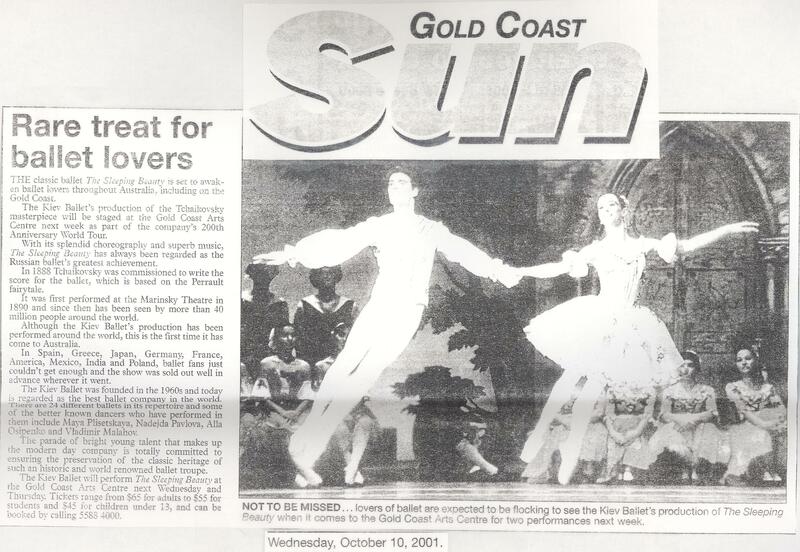 The world-renowned Kiev Ballet launches its Australian tour in Cairns. 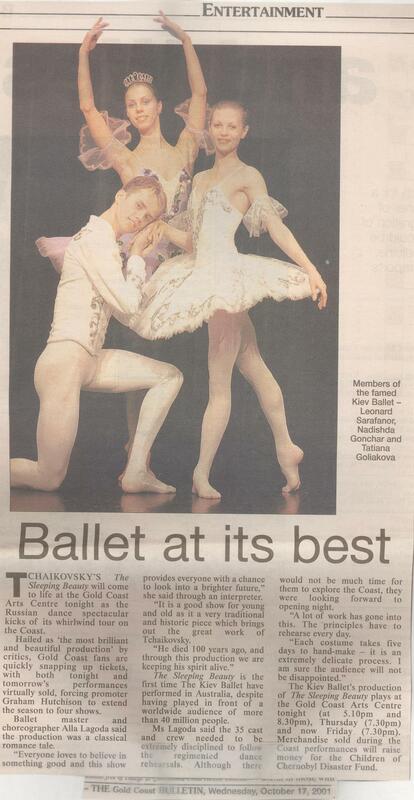 One of the greatest achivement of Russian Ballet is now on the stage of Cairns Civic Theatre. 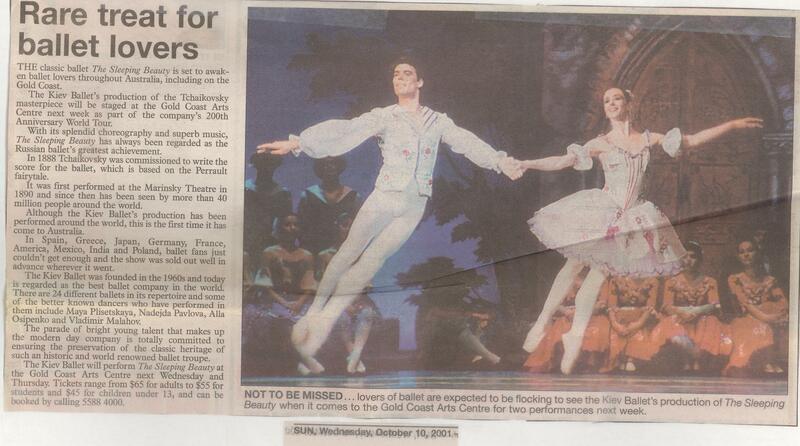 The breathtaking production features splendidly choreographed variations and superb music by Tchaikovsky.